On this classical music weekend on the Tales we celebrate the beginning of the Jewish Holiday of Passover with some classical music I hope reflects the holiday and that you will enjoy. From last year's post, 'A Tales Special Classical Music Holy Weekend of Passover and Easter': "There is probably not a classical music piece for this Jewish Holiday as well known as the famous Kol Nidre by Max Bruch for Yom Kippur, but we have found there are some beautiful moving classical music pieces that would be appropriate for Passover. One is by the Jewish Czech late Romantic/20th Century composer, Erich Wolfgang Korngold, his beautiful Passover Psalm composed in 1941. The Passover Psalm is a hymn for solo voice, chorus and orchestra. Arnold Schoenberg, the post Romantic modern Jewish composer from Austria wrote the opera Moses and Aron, about the Exodus. The great Baroque composer, and a religious Christian, George Frederick Handel, also composed a piece about the Exodus, his oratorio, Israel In Egypt. Felix Mendelssohn, while an early Romantic composer, composed his oratorio Elijah, the old testament prophet mentioned in the Passover Seder, in the Baroque style." Here are three of those pieces - the Handel, the Mendelssohn and the Korngold. 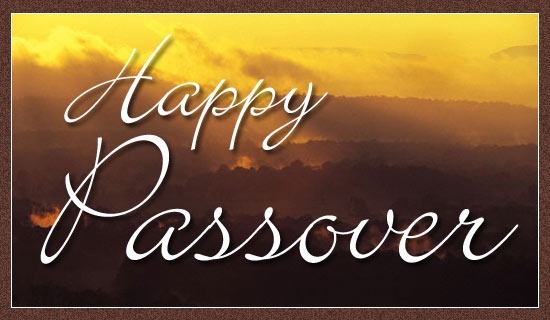 In celebration of this Passover weekend, please turn up the volume and enjoy this beautiful music I hope you will think appropriate for the Passover Holiday. Such beautiful music to fill my morning! Thanks smooch for this, Mike! Danr autocorrect! That was meant to say "thanks so much!"